Let every human being remake himself. Let us understand that we live not for money making, not for fulfilling our wants, not for scholarly and intellectual pursuits, but for spiritual development. Effects of Karmas of the past have to be effaced with Karmas backed by Prema. Every Karma must have a background of Prema. It is only in this world that spiritual progress can be made. Annihilation of the ego and dissolution of desires can be made here and now. Conquer desires, the little "I" feeling, vaasanaas, vikaaraas, raaga and dwesha. All these have built this world of appearances and illusions. 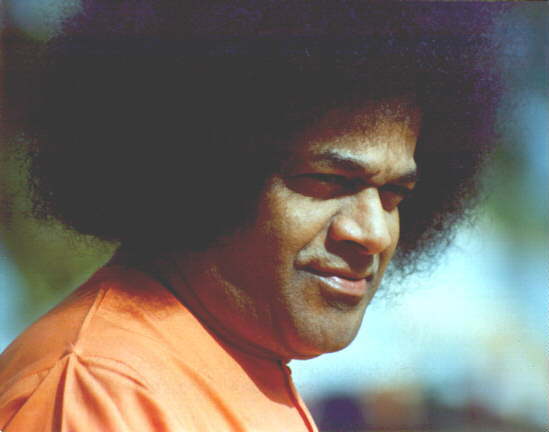 Fill the heart with the Light of Prema so that the evil qualities of hate, greed and conceit find no place therein. In winnowing, the dry outer coverings are separated from the grain. So too, you should separate the bad thoughts and emotions from the good and healthy ones. From this Sankraanthi day onwards, walk along the flowery path shown by Sai. Receive in full Sai's Grace and Love. Sai is your Hridayasthaayi (indweller of the heart). Sai is the One who Blesses your life with Peace. Sai is the One who grants your wishes. It is this Sai, who is your Thaai (Mother).